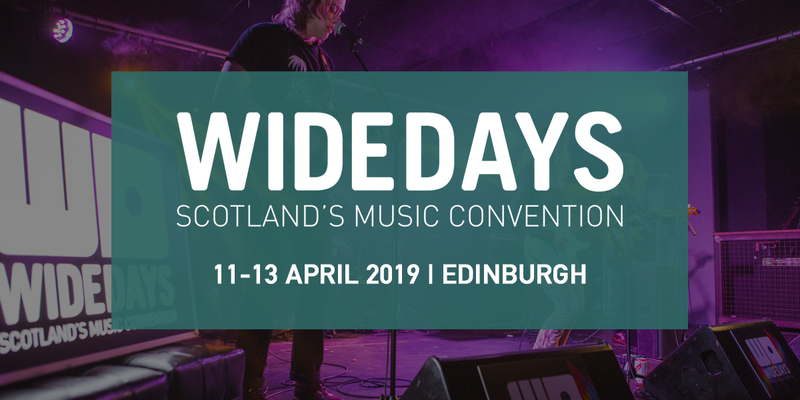 Wide Days is set to celebrate its tenth edition with an expanded programme including more networking opportunities, pre-event activities and the addition of a significantly expanded live offering which will see three Scottish festivals each curate a venue. Delegates arriving in Edinburgh on Thursday 11 April will have the option to take part in a guided tour of the city followed by pre-event entertainment. The Friday will continue with the conference at Teviot Row House, followed by a showcase featuring a selection of Scotland’s most promising acts. Saturday 13 April will see the addition of a range of optional activities, an event catering for the performing artists and a significant boost to the live programme. This will provide delegates and public alike with an opportunity to get a flavour of the participating festivals – to be announced next month – which will also include a selection of exciting acts from outside Scotland. Since its inception in 2010, Wide Days has included a strong focus on hospitality, which in 2014 led to it being crowned Best Networking Event at the Yearly Music Convention Awards. In addition to the coach tour (which is guided by Furniss) and whisky tasting, delegates will also have the option of taking part in a guided walk round Edinburgh’s Old Town or being taken to a selection of record shops to coincide with Record Store Day. This year’s conference will include a focus on music publishing, a continuation of a workshop strand hosted by music business education programme CMU:DIY, a special session hosted by PPL and perennial favourite, the feedback panel A&R You Brave Enough? In addition, music journalists and PRs will be invited to constructively criticise (or vent at) each other in Ten Things I Hate About You, while sessions still to be announced will include an increased international focus. “Wide Days has always had an open, welcoming outlook and we want to send a clear message to the international music community that Scotland wants to continue working with you,” adds Furniss. Organisers of some of Europe’s leading showcase festivals will be invited to Wide Days 2019, which has also agreed artist exchanges with key Welsh event, Focus Wales. Artists based in Scotland across all genres are invited to apply for the showcase slots and a special seminar will take place in Glasgow on 14 January elaborating on the criteria. This will be hosted in conjunction with PRS Foundation. Additional event partners confirmed to date include PPL, the Association of Independent Music (AIM), the University of the Highlands & Islands and the Scottish Music Industry Association.